You just can’t get enough pre – natal education…. providing you have an open and enquiring mind. This part of your life, whether it’s the first or subsequent pregnancies is an amazing journey for both your body and your mind. The way you approach this time will have an impact on your birthing outcomes. For me this is when I most want to see you. Women’s Health Physios have a depth of knowledge on ‘preparing’ you physically for your birth. Over the last twenty years there has been a real move away from specific ‘childbirth preparation’ exercise classes. Much of the blame for this has to be placed at the feet of our Obstetricians and Gynaecologists. No disrespect to our amazing doctors, but you do need to specifically train for birth. You need to understand the process, what changes happen to your body, which muscles need work ..to strengthen, stretch, relax and much, much more. … Pre- pregnancy Planning a pregnancy and trying to get pregnant can be, for some couples long and difficult and for others accidental, quick and easy. These links have some good information on the statistics surrounding pregnancy! 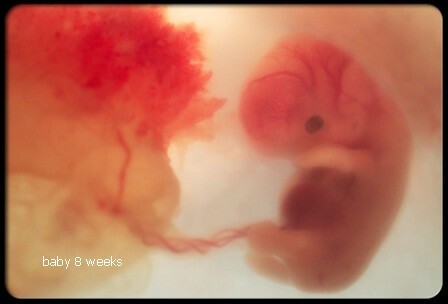 Let’s look at pregnancy week by week . You will find many pregnancy calculator apps, which send you regular information about what to expect . 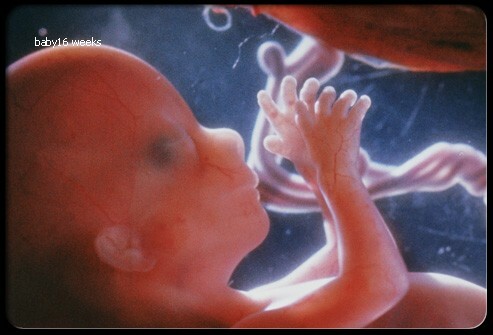 The link below takes you through each trimester week by week. The website “The Pregnancy Centre” is a fantastic resource that I use all the time and highly recommend. Dianne is an Elite Personal Trainer with a background of 22 years as a Physiotherapist working in pregnancy, postnatal and pelvic floor fitness, in Australia who has devoted a lot of time to the advancement of on-line women’s health education. And here is another great website from pregnancy …all the way through. Also a great area on the site ‘my neighbourhood’ where you can search for all sorts of useful information near you. Take a look at this short video I did with Melissa explaining the postural changes that take place in your body during pregnancy. Exercise is a great way to keep fit, stay in shape and feel good about yourself and life in general. Pregnancy does not change this for most women. Despite the differences in your body, exercise is still important. Some studies have suggested that exercise during pregnancy will help with an easier and shorter labour and birth, fewer caesarean surgeries, a quicker recovery postpartum, a quicker return to your pre-pregnancy weight, not to mention a healthier feeling pregnancy. One of the things that you need to determine before you get started is where you are fitness wise. If you previously were a couch potato this is not the time to take up a new sport. However, all is not lost. There are several exercises that you can do while pregnant, even if you were previously sedentary. These would generally be walking, swimming, and specialized pregnancy exercise classes. The key, as with any exercise in pregnancy, is to take it relatively easy and to listen to your body. So, now that you’ve decided to exercise what comes next? First of all you want to exercise on a regular basis. This is what will give you the most benefit. When you exercise you need to make sure that you warm up and cool down, have plenty of water available, and are cleared by your doctor. Dressing appropriately is very important. This means you should wear loose fitting, comfortable clothing, non-skid shoes that are supportive, and a decent bra, preferably a sports bra. If you are large breasted consider wearing a maternity/nursing bra under a sports bra for added support. Stay off your back After 16 weeks+ your uterus starts to grow out of your pelvis and the weight of it, when you are on your back, can depress the vena cava. This reduces the amount of blood flow, and therefore oxygen, to your baby. Most women will find that they will also become dizzy or light-headed if they lie on their backs for any length of time. This is something that should be avoided, not just during exercise. Lying on your back for stretches or very short periods may be OK.
Don’t over do it This includes overheating. Raising your core temperature too much can affect the baby adversely. Always drink water before, during and after exercising. Listening to your body when something hurts or doesn’t feel right, that means stop! Watch your centre of gravity After 16 weeks it starts to change and you can quickly find yourself off balance. While your baby is very well protected by the amniotic sac should a fall occur, the best protection is prevention! Heart rates Generally women should keep their heart rate under 140 beats per minute. However, for some women this may be too high. So, the easiest way to do this is what is called the talk test. Simply put, if you are too winded while exercising to carry on a conversation, you are doing too much. Don’t take part in horse riding, downhill skiing, ice hockey, gymnastics and cycling, because there’s a risk of falling. If I haven’t convinced you to join my pre -natal exercise class… then come along for a 1 hour consultation at this time so I can assess your muscles; inside and out. I can offer advice on exercise and labour. This is particularly relevant to 2nd time mums who may have had a difficult 1st delivery or those that may be considering a VBAC. PGP is the medical name given to pre and post natal pain in and or around the low back, pelvic joints (sacro -iliac at the back and pubic symphysis at the front) side pelvis, side hip area, front groin and inner thigh. It can be severe and disabling, making even walking a major effort; or mild with episodes of pain or aching around the pelvis. It mainly occurs in pregnancy, but may be due to a sports injury or trauma to the pelvis. The sacroiliac joints at the back of the pelvis and the pubic symphysis at the front form a unit to hold the pelvis absolutely steady during any activity in any position which involves movement of the legs. If the pelvic girdle is not balanced firmly by ligaments it cannot effectively allow movement of the legs without excess strain at the pubic symphysis joint. The pubic symphysis joint may shear or separate causing pain. Pregnancy has the effect of changing the position and function of the pelvic girdle. • Achy / sharp / burning / tender / acute / chronic. • Varies from sudden severe intermittent pain to constant chronic disabling pain. • In and around the pelvic girdle for example, sacroiliac joints, pubic symphysis joint, coccyx, one or both hip joints. • The pain can radiate from the pelvis up into the spinal column or down into the buttock and back of the leg. • Lower abdomen, groin and undercarriage. 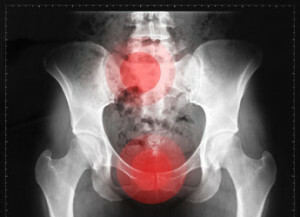 • Clicking within the pelvis is common due to the misalignment of the joints and the lax ligaments. • Sensation that the hip is out of place or has to pop into place before walking. • Difficulty starting to walk after sleep. • Standing on one leg getting dressed / undressed. • Parting legs e.g. getting out of the car. I can’t stress enough that you should get a full assessment / treatment from a Women’s health Physio that specialises in pregnancy. The complexity of relaxing stretching ligaments around joints needs to be moderated with pelvic floor muscle contraction/relaxation. Other muscle tightness around the pelvis ( Gluts; Hamstrings; hip Flexors?) may need to be addressed. There is so much more on this topic and attending specific pre- natal exercise classes as an adjunct to your general cardio fitness is important. Make sure you have an assessment with a Women’s Health Physio to determine the cause of your PGP. Stretch marks…how to avoid or reduce them. This is a post by Marienne Ryan, one of our great Women’s Health Physios in New York. Diastasis Recti – Separation of your tummy muscles. Also see under the post natal tab and January 15/1/13 blog post. Breastfeeding plan. It is extremely detailed and even if you just take on some of the explanations about why you might ask to keep your baby on your chest after birth etc. it will be useful. Think about attending a pre-natal breastfeeding class… The ABA does run them. Locally on the North Shore at Lane Cove- but not very often. Next some breastfeeding videos on early breast feeding. So by now you should know where your Perineum is? Good! Some women even with Perineal massage, the use of the Epino, still, will through other circumstances have a tear or episiotomy of the Perineum. Tears are graded 1-4. Grade 1,2 will require no, or minimal stitching. 3rd and 4th degree tears will require a more specialised repair and you will probably be taken up to a theatre for 3rd and 4th degree tears on the same day as your birth. Episiotomy. 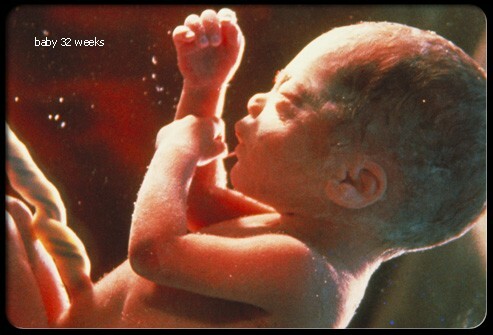 This is a cut made by your Obstetrician or caregiver to help ease the delivery of the head during crowning. Secret Women’s Business’ This 2 hour workshop is available to all pregnant women from 34 weeks+ It is designed for the 1st time mum, but holds advice and practical tools for all mums to help you through your late pregnancy and early post-natal period. By understanding how you can ‘help ‘ your labour you can maximize safer pelvic floor outcomes and empower your delivery. This workshops has a practical component. Check into Sports Focus Physio 9958 8986 and find out when I am running the next workshop, or come and see me for a review and advice on how to work through the last few weeks!! It’s OK if you don’t want to have all this information, but I believe if you understand what you and your body are trying to do in this “Labour” then you will be able to work with it and have an amazing birth!! O.K So now you are REALLY ready to have this baby…..Good Luck!